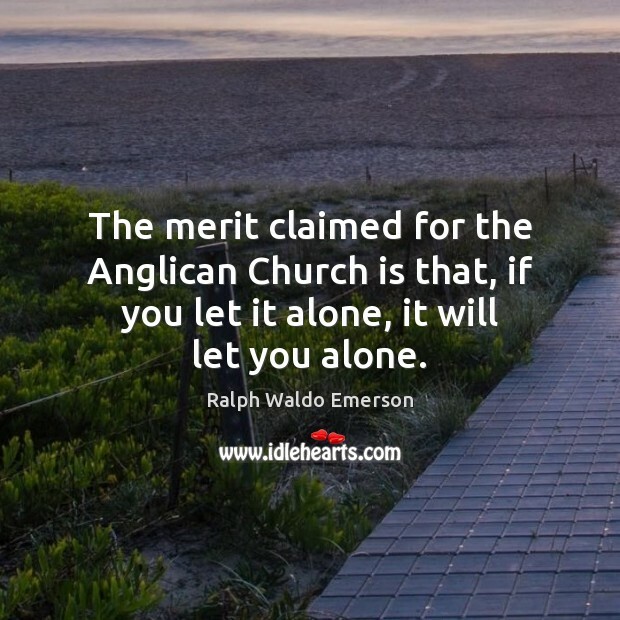 Quotations about Anglican. Quotes to stimulate mind and drive action! Use the words and quote images to feed your brain inspiring things daily! 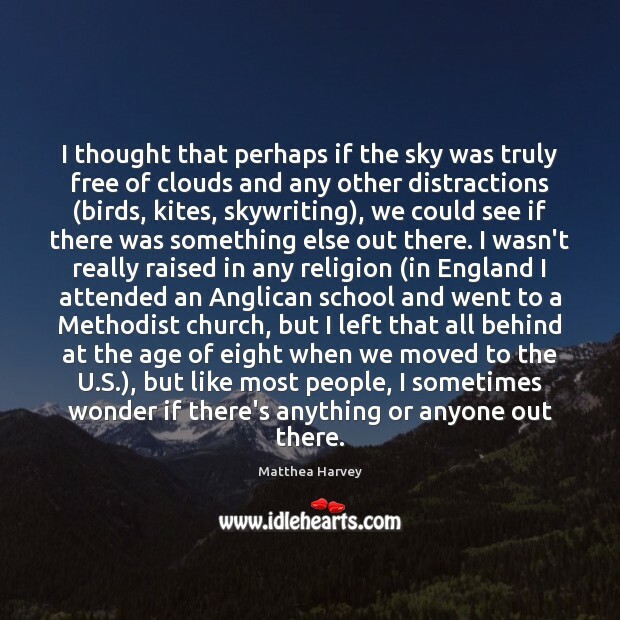 I thought that perhaps if the sky was truly free of clouds and any other distractions (birds, kites, skywriting), we could see if there was something else out there. I wasn't really raised in any religion (in England I attended an Anglican school and went to a Methodist church, but I left that all behind at the age of eight when we moved to the U.S.), but like most people, I sometimes wonder if there's anything or anyone out there. I did not worry about what a man or woman personally believed, but the nation's official religion should be outwardly practiced by all its citizens. A religion was a political statement. Being a Calvinist, a papist, a Presbyterian, an Anglican labeled a person's philosophy on education, taxes, poor relief, and other secular things. The nation needed an accepted position on such concerns. 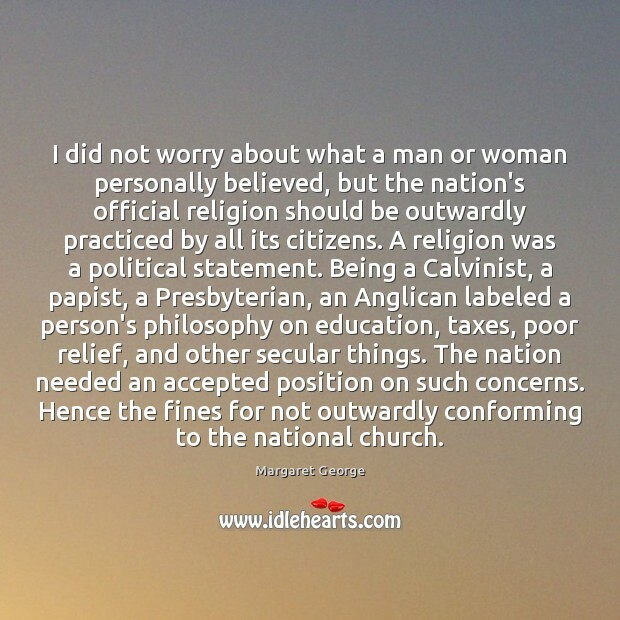 Hence the fines for not outwardly conforming to the national church. 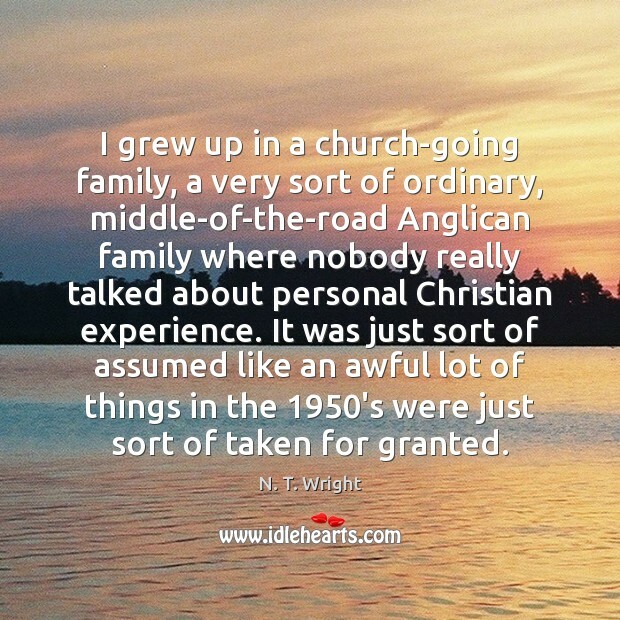 I grew up in a church-going family, a very sort of ordinary, middle-of-the-road Anglican family where nobody really talked about personal Christian experience. It was just sort of assumed like an awful lot of things in the 1950's were just sort of taken for granted. 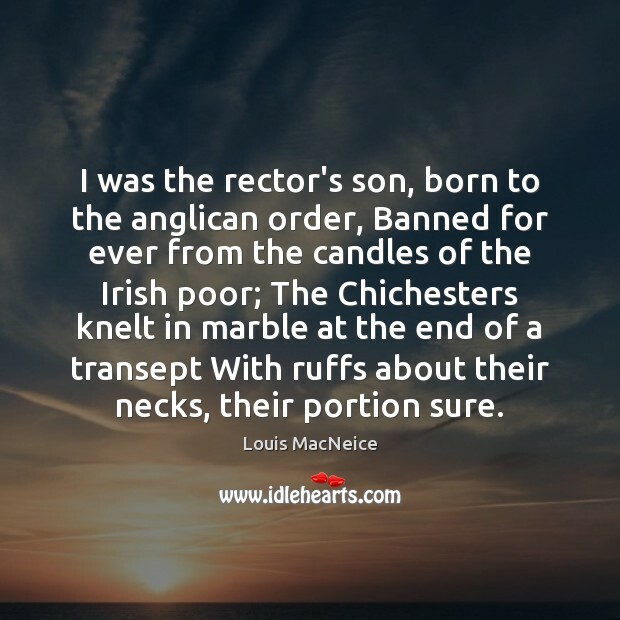 I was the rector's son, born to the anglican order, Banned for ever from the candles of the Irish poor; The Chichesters knelt in marble at the end of a transept With ruffs about their necks, their portion sure. But miracles are not for the asking; they come only when the stern eyes of God droop shut for a moment, and Our Lady takes advantage of His inattention to grant an illicit mercy. 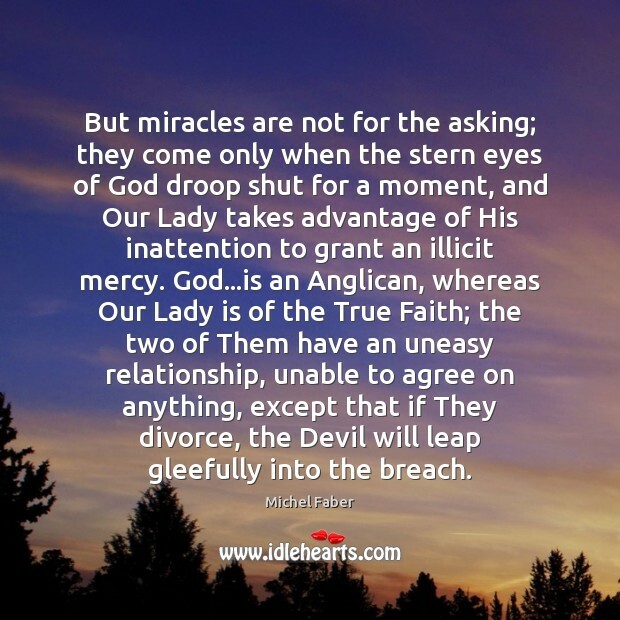 God...is an Anglican, whereas Our Lady is of the True Faith; the two of Them have an uneasy relationship, unable to agree on anything, except that if They divorce, the Devil will leap gleefully into the breach. 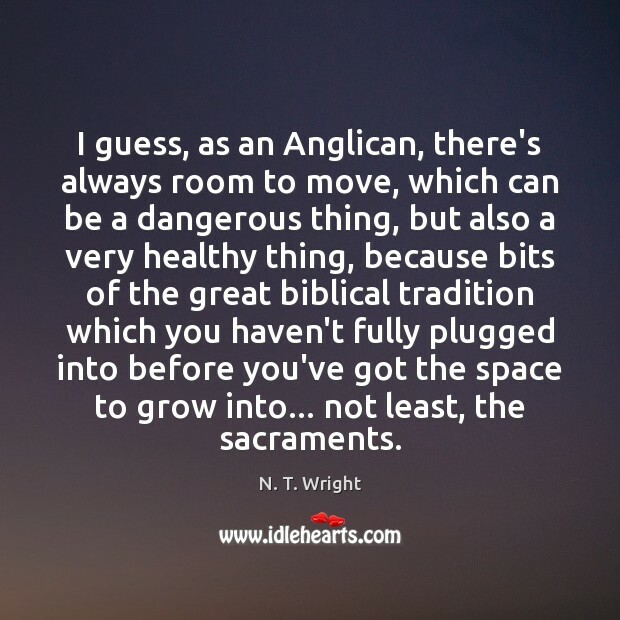 I guess, as an Anglican, there's always room to move, which can be a dangerous thing, but also a very healthy thing, because bits of the great biblical tradition which you haven't fully plugged into before you've got the space to grow into... not least, the sacraments. I really do feel that these people are brothers and sisters in God's family. 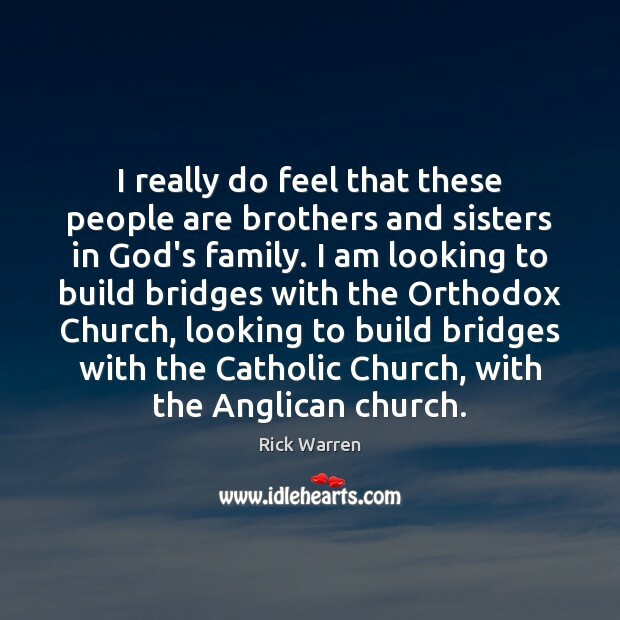 I am looking to build bridges with the Orthodox Church, looking to build bridges with the Catholic Church, with the Anglican church. 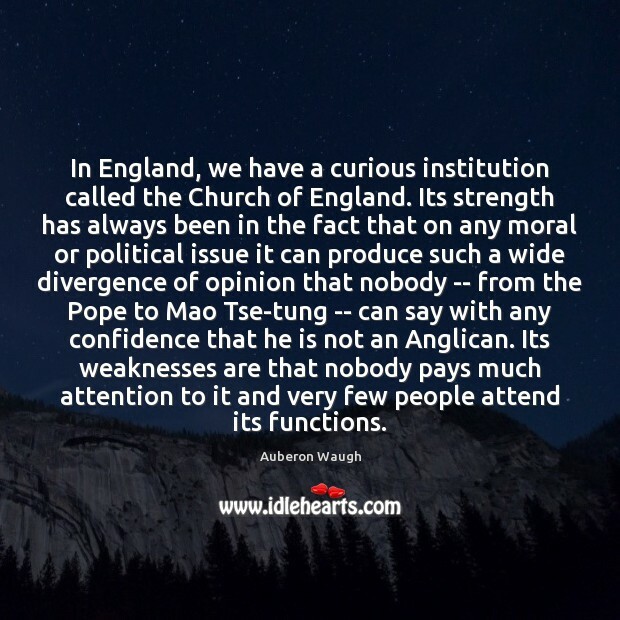 In England, we have a curious institution called the Church of England. 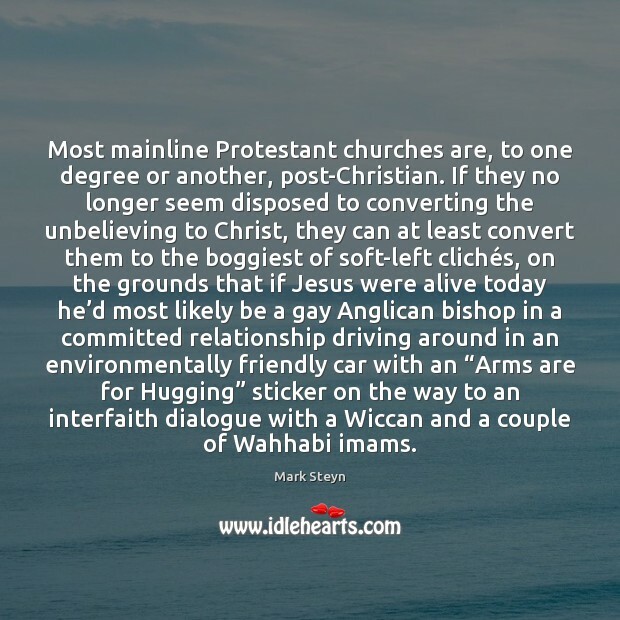 Its strength has always been in the fact that on any moral or political issue it can produce such a wide divergence of opinion that nobody -- from the Pope to Mao Tse-tung -- can say with any confidence that he is not an Anglican. Its weaknesses are that nobody pays much attention to it and very few people attend its functions. 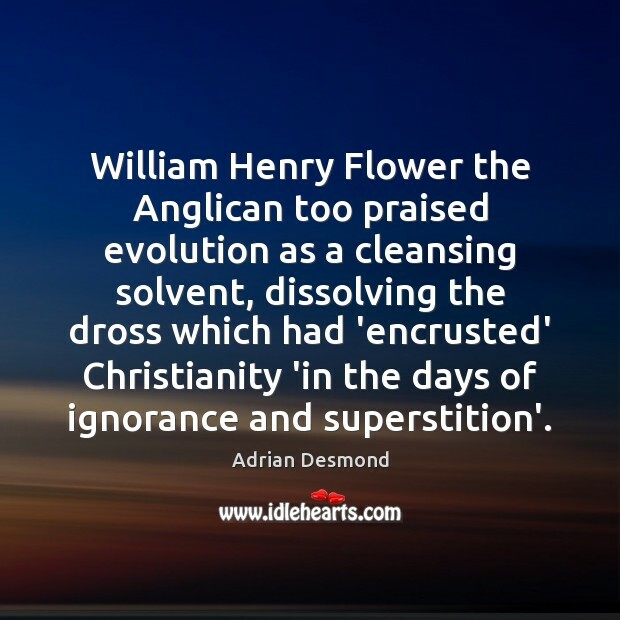 William Henry Flower the Anglican too praised evolution as a cleansing solvent, dissolving the dross which had 'encrusted' Christianity 'in the days of ignorance and superstition'. In a real world, the one outside the rarified atmosphere where Popes meet Archbishops of Canterbury, people no longer care whether somebody is an Anglican or a Roman Catholic. 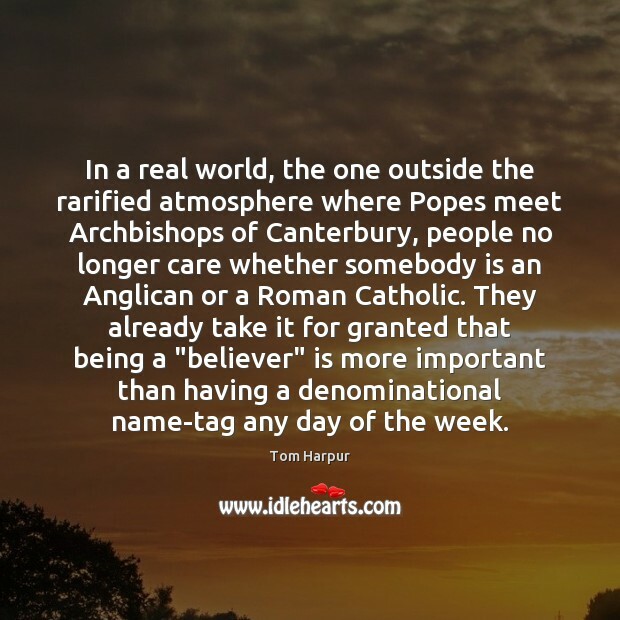 They already take it for granted that being a "believer" is more important than having a denominational name-tag any day of the week. 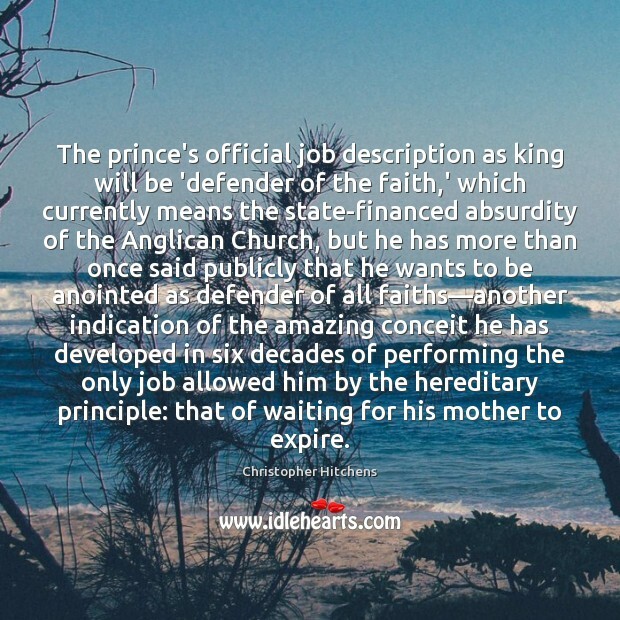 The prince's official job description as king will be 'defender of the faith,' which currently means the state-financed absurdity of the Anglican Church, but he has more than once said publicly that he wants to be anointed as defender of all faiths—another indication of the amazing conceit he has developed in six decades of performing the only job allowed him by the hereditary principle: that of waiting for his mother to expire. 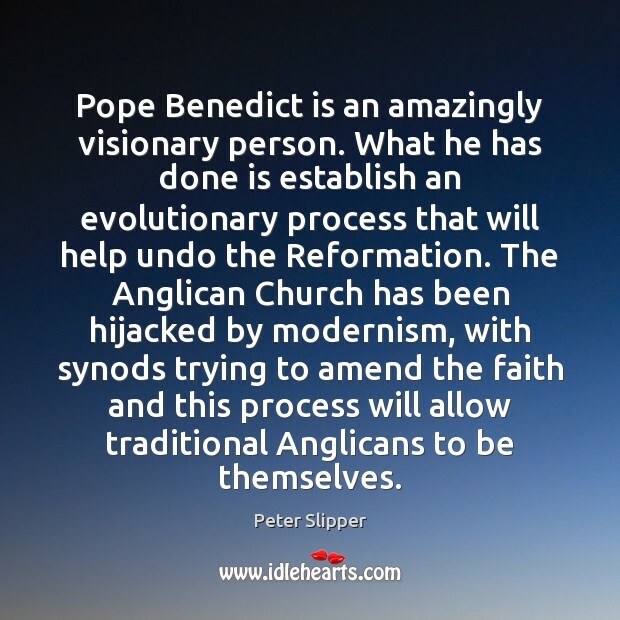 Is the Church of England an Anglican church? The church did not start in Canterbury, the church did not start in Rome. 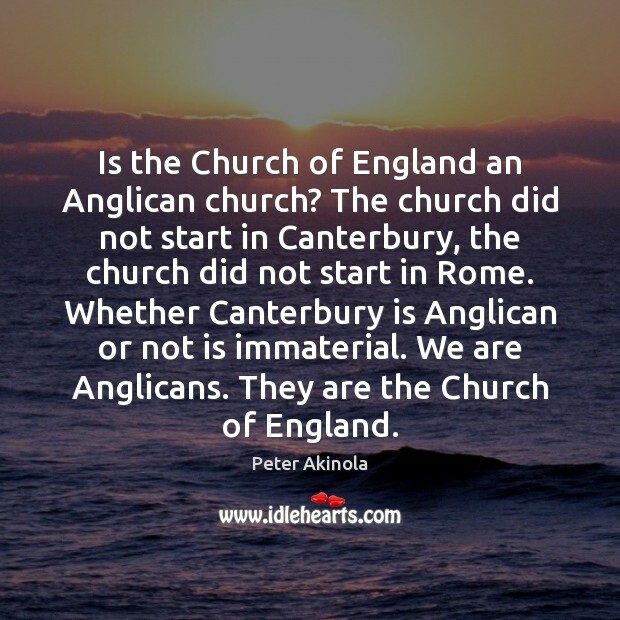 Whether Canterbury is Anglican or not is immaterial. 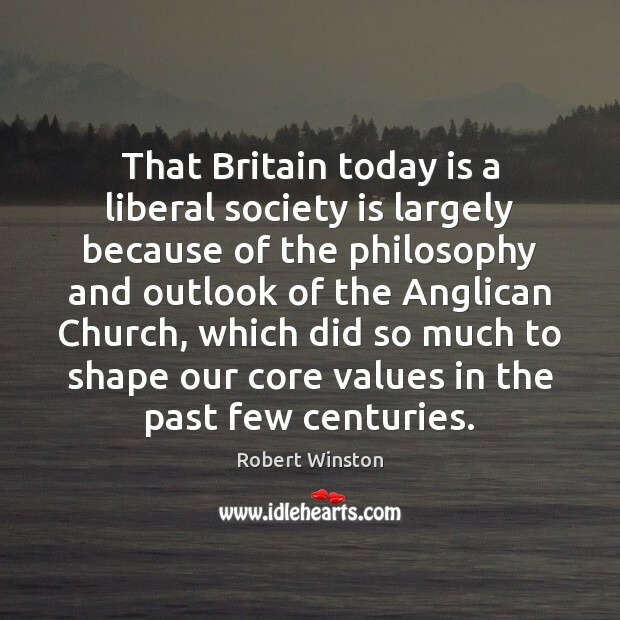 We are Anglicans. They are the Church of England. I'm very eclectic, musically as in other things! 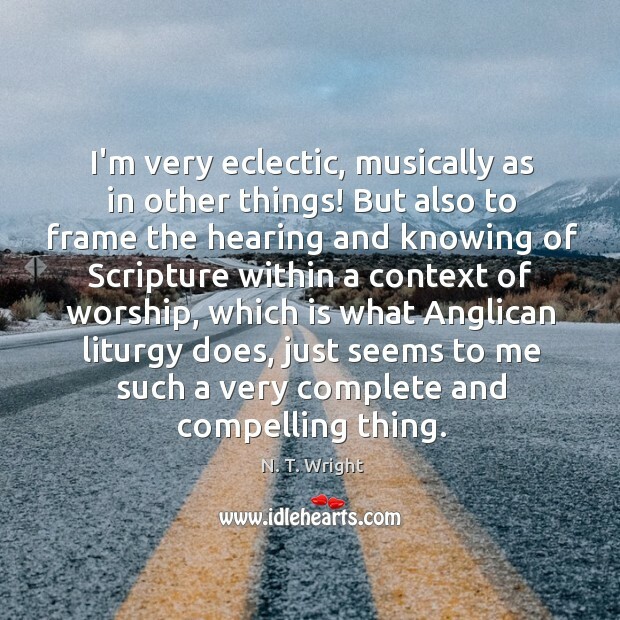 But also to frame the hearing and knowing of Scripture within a context of worship, which is what Anglican liturgy does, just seems to me such a very complete and compelling thing.